If the sending server then initiates a TLS handshake and confirms that the following data will be exchanged via TLS the inbound transaction process will be encrypted. The TLS encryption can be configured either as "forced" or "if possible" also known in technical terms as 'Mandatory' or 'Opportunistic'. 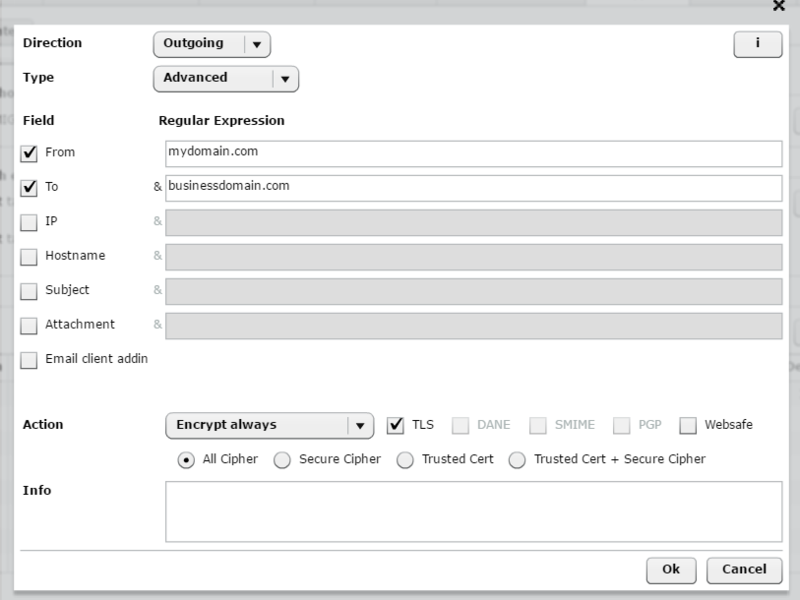 If customers subscribe to MPmail's add on encryption service, activated within the Control Panel under Management/Encryption section. 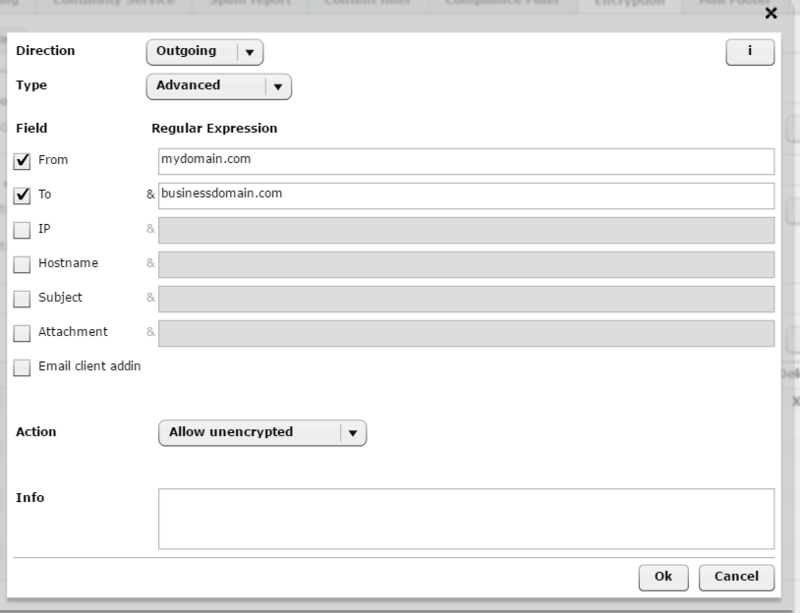 Customers are then able to create customised outbound - sending TLS encryption rules, which can be domain specific. Important note: The "FORCED" option in this configuration is a chargeable extra.